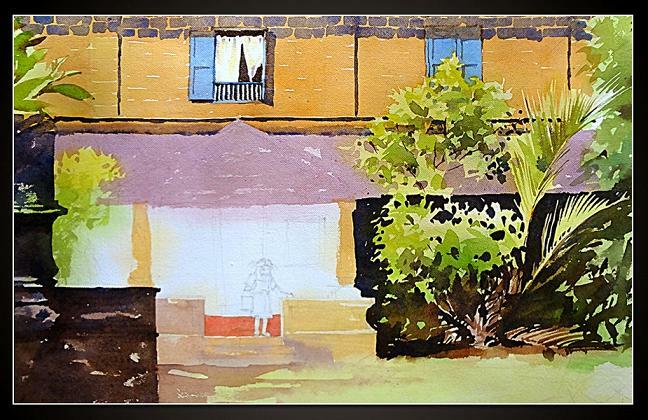 Here is a step by step watercolor painting by artist Sujith VT. We are presenting this tutorial to help beginners understand each stage of a watercolor painting. This medium is often challenging for beginners in this domain. You can enjoy various freedom levels while doing a painting. It can be narrow or controlled, free flowing or loose painting style. 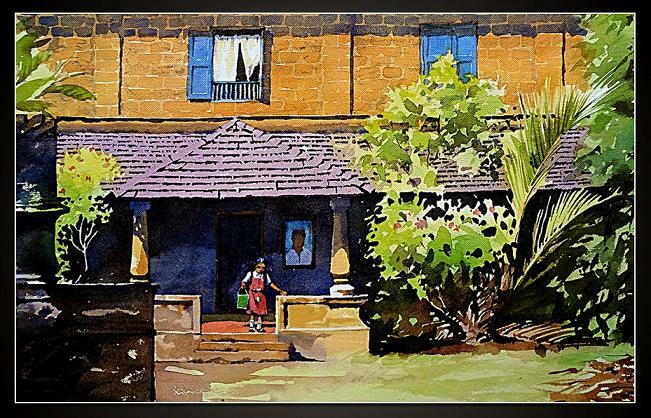 Sujith VT is a popular watercolor artist from India. 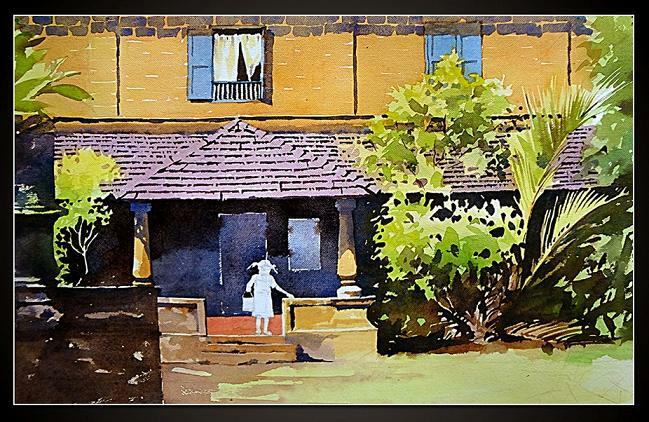 His watercolor paintings are known for its beauty that blends with nature in a perfect way. The rich use of colors like green make his paintings visually appealing. 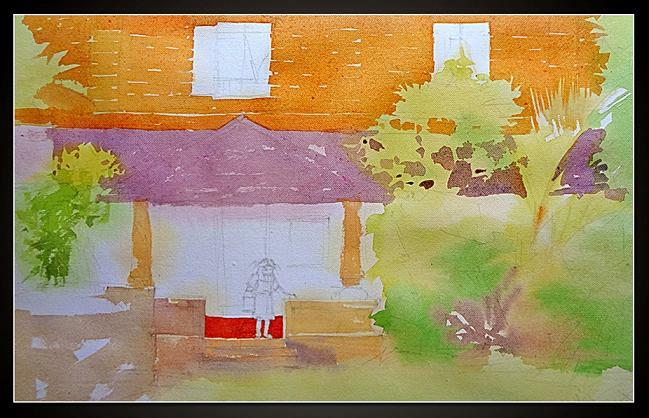 To feel comfortable and easy with watercolor, you just need to try it several times. 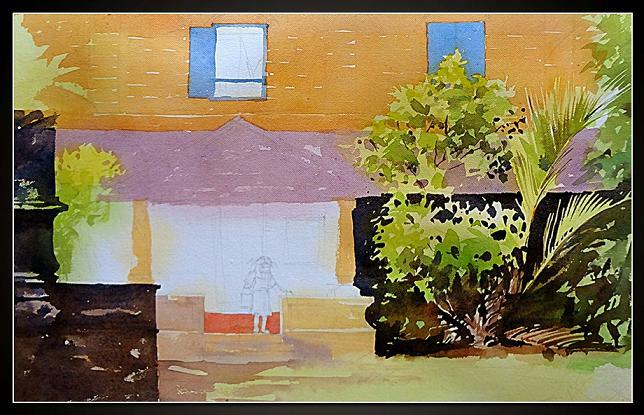 But is always worth trying!Here is a watercolor painting tutorial which outlines how to paint a scene using this medium. 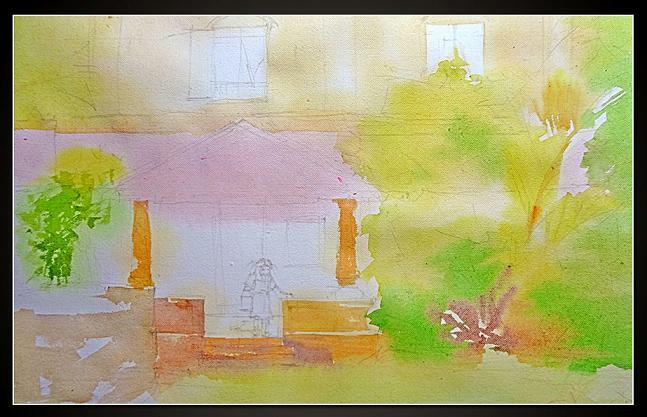 The subject area includes an old Indian house with a school going kid in the front. Draw a rough sketch of the subject with soft lines on the drawing paper. the initial step deals with a small wash. Here we give a light color touch on the house. Now you need to apply colors in a way that it blends well with the previous wash. The two pillars in the painting are given bright orange color. Apply bright orange color to the upper portion of the house. Do not paint over and over. It would fade out colors and give a dull look to the painting. Highlight the window with blue color and paint the tree with some bright green shades. When black color comes, the painting looks more lively. Give detailing to the window and curtain with care. Each part has to be dealt with special care. 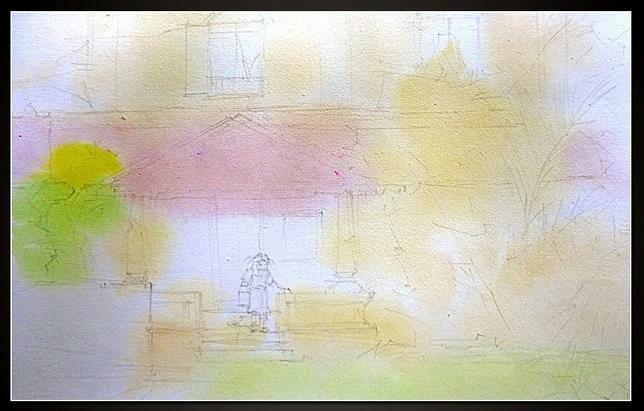 These small parts contribute well to the beauty of a watercolor painting. Light plays an important role in a painting. Here you have to add dark strokes on the pillar to show the effect of light. Similarly paint with dark colors in the front part so that we can highlight the child well.